Cash flow usually begins with the sales cycle, with one exception a new business. With a new business cash flow will usually begin with a loan of some sort from the new business owner or from a bank. However, after that, it goes back to the sales cycle. From the minute you sell your product or sell a service, time begins to tick between the point of sale and the point at which the money hits your bank account. Your aim as a business owner is to make that happen as quickly as possible. 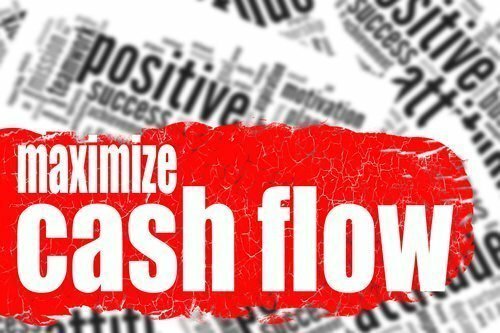 The best way to make cash flow happen quickly is to get your ‘Money Up Front‘. Why give credit, if you don’t need to? However, if you do give credit, make sure the time between invoicing and you receiving payment isn’t too long. If you are not able to get all of your cash up front, consider getting a deposit from your customers and try for at least 50%. This lessens your risk to the sale, but also speeds up your cash flow. Whilst, payments by debit or credit card is not instant cash in the bank, it usually credits your account within 3 working days. However, there is a cost to this source of quick cash flow…credit card charges. Encourage your customers to pay with debit card, as the fees are less. One way to push customers to pay with debit rather than credit is to charge a fee for the use of a credit card. But, you must be upfront about the fees, before they customer makes the payment. It then becomes the customers choice whether or not to pay the fee. The sales cycle, and consequently the ultimate cash in the bank cycle, is much slower where credit is given to customers. 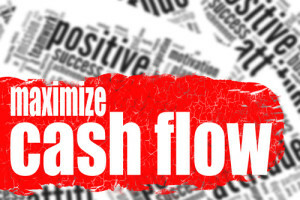 So another quick way to boost cash flow to your business is to be prompt at raising your invoices. In fact these should be raised immediately at the point of sale, as any delay here adds time to the cycle. 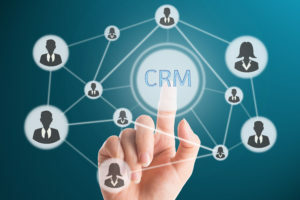 Having a good CRM system to raise sales invoices, which links to your accounts package, means that more staff can raise invoices. Don’t have a set up where only one person can raise your invoices, as this will create a bottle neck and add time to your sales cycle. These days most accounts systems and CRM’s have API’s which enable linking between software. An API allows one piece of software to speak to the next piece of software. This way not everyone needs to be an accountant, but can raise the invoice and then the accounts department can deal with it after that. Most companies offer sales commissions purely on gross sales. However, if you align your commissions to your sales people with the margins made on your products or services, this will encourage them to sell the more profitable items. This in itself will not immediately improve cash flow, certainly not where credit is given, but once the customer pays, the amount of cash hitting your bank will be higher. Where you are making higher profit margins on your sales, if you adopt tip no. 5 above, it will be easier to offer payment incentives. You have higher profits to pay the incentive from. Be careful not to offer too higher percentage. With banks offering very low interest rates at present, it’ll make sense for your customers to take a payment incentive. This is where they have spare cash, and is instead of them keeping the money in the bank. In summary, by speeding up the cash or sales cycle, you get your money faster and your business will be healthier for it.